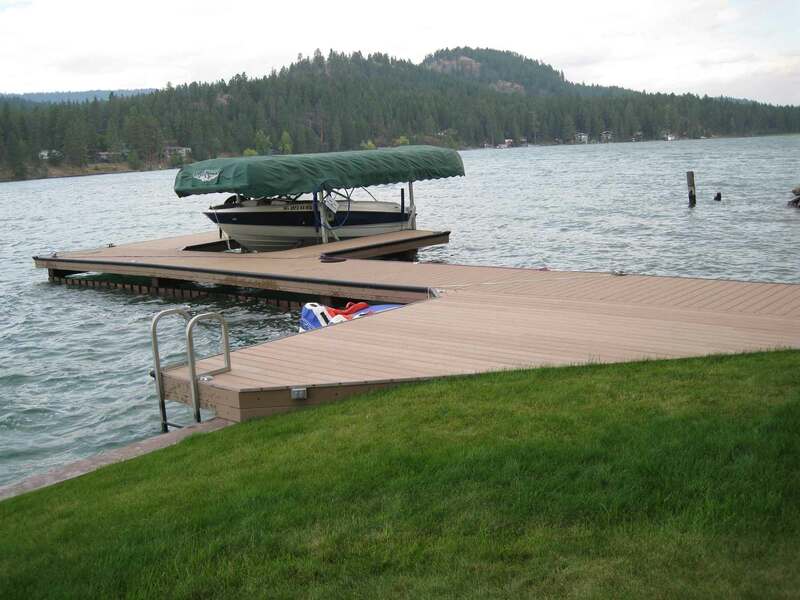 Sunrise Docks, Inc. is a Montana dock builder, who calls Polson Montana home. We are located on the South end of Flathead Lake. Most Flathead Lake Docks are piling docks which are supported, in most cases, by steel piling. In addition to building piling supported docks, Sunrise Docks also specializes in building floating docks, which are built not only for the local market consisting of many smaller lakes surrounding Greater Kalispell Montana but are also shipped to Idaho, Washington and Alaska. In addition to building docks, Sunrise Docks also specializes in boat rail systems, boat houses, seawalls, piling docks and dock repair. As a local dock builder, Sunrise Docks, also offers other marine activities such as diving services and retail sales of dock components. we warranty what we sell.